Customer Care Offices open everyday from 8am-5pm and from 8am -11:30am on Saturdays except for Harare Town Office which closes at 1pm every Saturday. 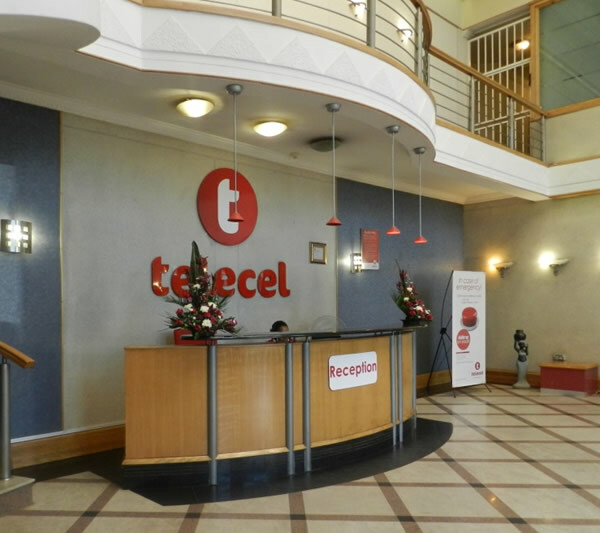 There is a walk-in Customer Care Centre at its head office on Seke Road to provide assistance to customers and after sales service to those who have recently purchased a line or handset from Telecel. The centre is made good use of by new customers who may be having difficulty understanding how their phone works, how to juice up their phones and other aspects of operating their phone or phone line, as well as by other customers with queries about their bill or balance or requiring assistance in activating value added services. Telecel’s Call Centre, which is open at present from 8am to midnight, provides telephone assistance to customers. It is the main point of contact that most customers have with Telecel. The possibility of providing 24 hours-a-day Call Centre service is under consideration. During public holidays and weekends we are open 8am to 5pm. In areas where Telecel has not yet opened shops , selected dealers provide sim-swap services to customers who would like to replace their lines. In addition to providing helpful information to old, new and prospective customers, Telecel’s Customer Services Department also regularly sends out bulk SMS text messages to clients to keep them informed about any new developments. The Call Centre can be contacted for assistance of any kind.